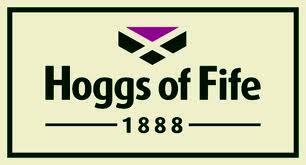 Traditional jeans style moleskins from Hoggs of Fife. Moleskin trousers cut in a jeans style. Two side pockets, one with a small coin pocket. Two rear pockets. Belt loops. Shirt grip inner waistband. Zip fly. Double stitched and riveted at stress points for extra strength. Regular - 31" leg, long - 33" leg.